Our team is the one to call for the finest quality repairs and maintenance in Encinitas. Look over our latest projects for proof that we mean business when we say we're the best! 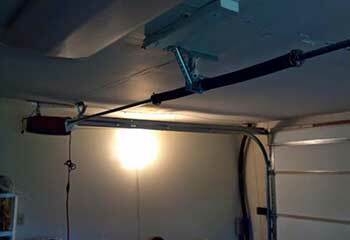 Customer Issue: Garage door moving slowly. Our Solution: Upon inspection, we found that one of the extension springs was about to break, so we immediately closed the door and proceeded to carefully remove both units. 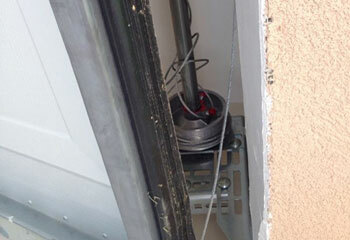 We then installed new springs in their place and made sure the door could open and close evenly again. 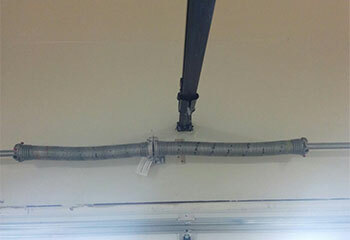 Customer Issue: Noisy garage door. Our Solution: More than half the steel rollers on one side of the door had worn out. We immediately replaced them with new rollers, and reminded the customer that they need to be lubricated every 3-4 months for maximum efficiency and reduced wear and tear. Customer Issue: The door wouldn't lift as a result of a broken spring. Our Solution: We removed the damaged spring and fit a brand new set of springs to make sure the door is good to go. Our Solution: We fitted this customer's new wooden Amarr door, programmed the opener, and walked the customer through some of its features. 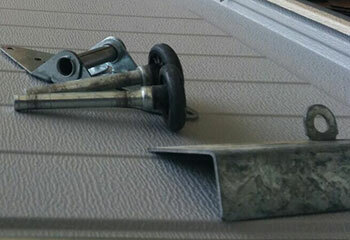 Customer Issue: The door was unstable as a result of a broken cable, and the other cable was badly worn. 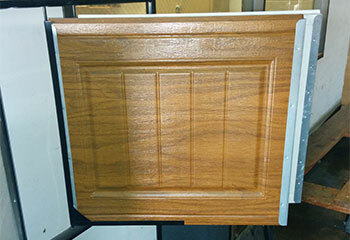 Our Solution: We removed the snapped cable, and fit a new set to make sure the door will operate safely.